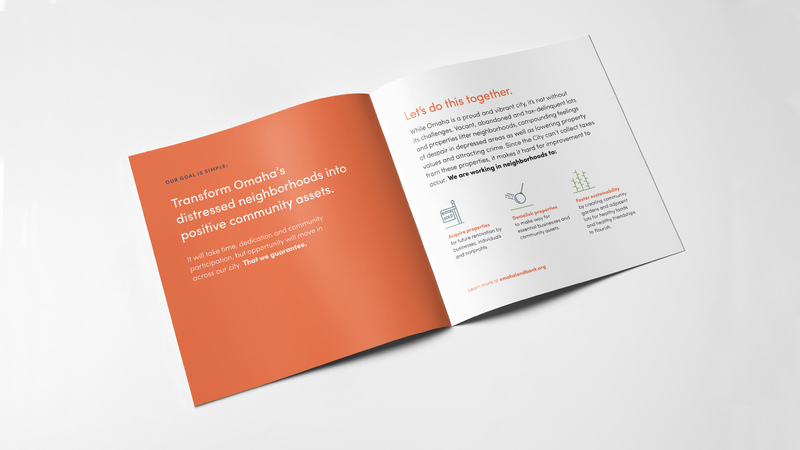 The Omaha Municipal Land Bank is a nonprofit government organization working to transform Omaha’s distressed properties into positive community assets via acquisition, demolition and sustainable spaces. 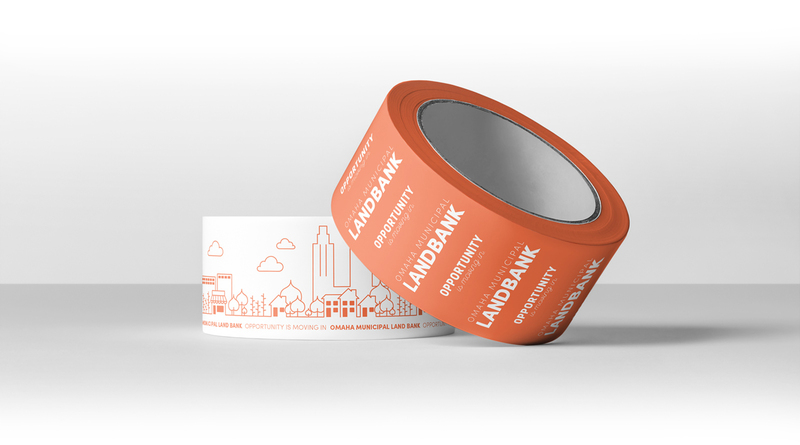 We conducted research, developed a strategic platform and penned the line “Opportunity is moving in” to pay off their mission. 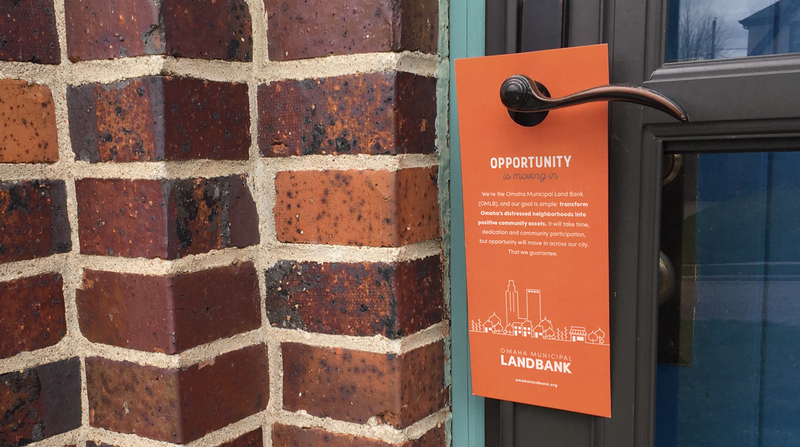 We then launched it into the community via yard signs, moving boxes, door hangers, socials channels and, of course, a website. Stay tuned, there’s more to come. In March 2017, the website garnered 300 sessions with an average duration time of 01:38; 70.75% of these sessions were new visitors to the site.